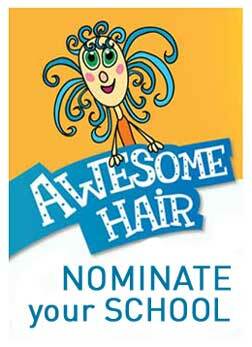 As an interested parent, teacher or a school administrator you can nominate your school (NZ only, please) to access the Awesome Hair Awareness (AHA) Program for Schools. AHA is a fun, one week school headlice program for happy kids and parents. It includes class material and activities, teacher, parent and administrator resources, posters, product and access to on-going support. We’ve been running this program since 2016, and the feedback is, yes, awesome! From February to June 2018 , we are accepting new schools into AHA. Add information below if you’d like to have your school contacted. Is it ok to use your name when we contact the school?